Tango Boise Inc. is thrilled to have Felipe & Ayano with us our first workshop weekend of 2016! They will be in Boise from January 27 to Feb 1. During their stay, Felipe & Ayano will be teaching our workshop weekend, guest teaching at our Thursday practica on January 28, and will be teaching privates . Please go HERE for Felipe's brief bio! See pricing chart for comparison. 9:00 - 10:00 PM — Guided Practica. 8:30 - 9:00 PM — Set-up & pre-funk! Come out and meet Felipe & Ayano at our regular Thursday night lesson and practica! 7:30 - 8:45 PM — Milonga Lisa. There are two distinct styles of Milonga. Tonight’s lesson will focus on the Milonga Lisa style in which the dancer steps on every beat of the music. Felipe & Ayano charge $100/hour whether it's for one student or for a couple. If the couple is wanting to work individually with each of them, then it will be treated as two separate privates and they will be charged accordingly. To schedule a private with Felipe & Ayano, please contact them through the form below. Thank you! Felipe will be contacting you soon to schedule your private(s). Need Accommodations? Have accommodations to offer? If you are offering accommodations, please describe how many people you can host and under what conditions. For example: "Two people in their own rooms." Or "Two people sharing a double bed." Felipe Martinez has taught at major festivals in US and Canada, danced on cruises in South America & the Mediterranean, and has toured & taught in many major cities throughout the U.S., Asia, and Europe. 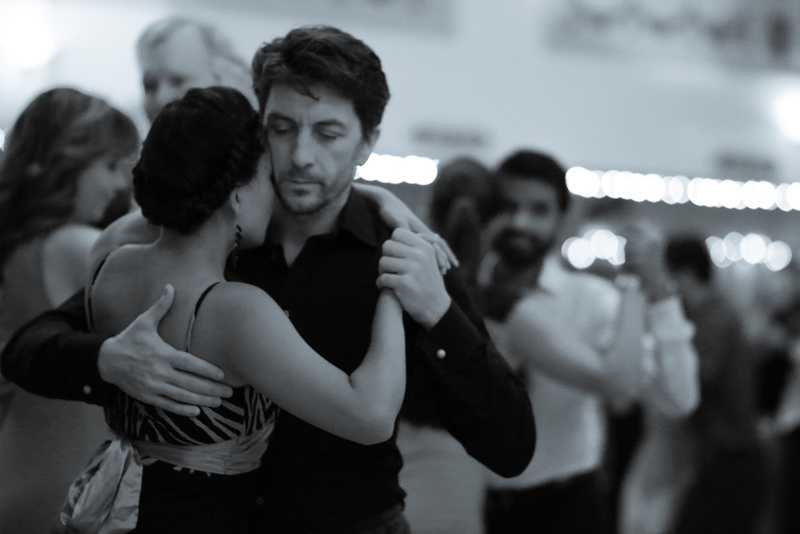 He regularly spends time in Buenos Aires to feed his passion and knowledge of tango. Originally from Madrid, Felipe holds a degree in Education and has been dancing tango since 1997. He has been based in the Bay Area for the past 15 years, where he is a regular teacher, host, and DJ at several venues — including The Beat, El Valenciano, Genesis and the Stanford Tango Club. Celebrated for his elegant approach to tango and incisive teaching, Felipe is one of the most widely traveled and in demand dancers of his generation. Thorough and precise in the classroom, Felipe is also one of the organizers of the San Francisco Tango Marathon, an international event held every year in November. Felipe DJs regularly in the Bay Area at The Beat (practica) and El Valenciano (traditional milonga). Felipe has DJ’d at Festivals & local Milongas in Portland, San Francisco, Baltimore, Denver, Washington DC, Atlanta, Houston, Fort Bragg, Austin, Houston, Providence, New York, Los Angeles, Montreal. Felipe has DJ’d worldwide, including Buenos Aires, Spain, Germany, Seoul Tango Festival (2012, 2013, 2014, 2015), the Bali Tango Festival and the Taipei Tango Festival, as well as in Tainan and Tokyo. Felipe's musical selection is based on the classics that ensure a great atmosphere for dancing.